Waikiki is probably the most famous part of the island of Oahu. 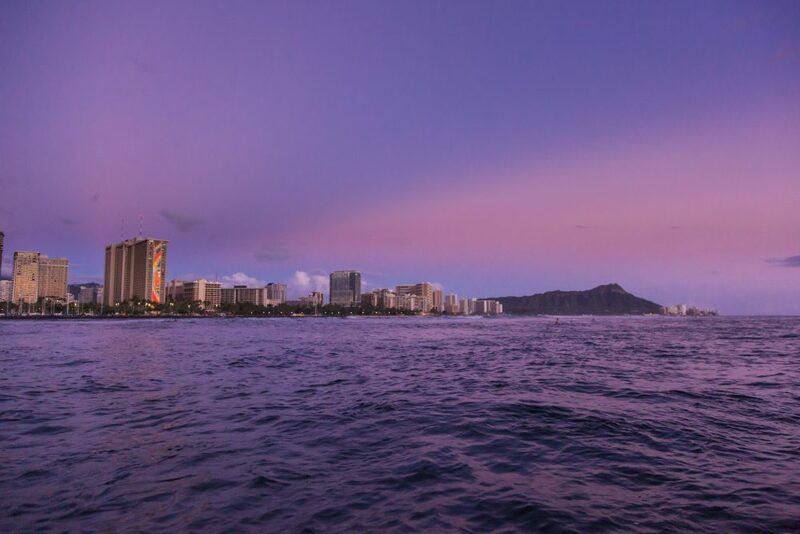 Many people commonly mistake Waikiki for an island, but it’s actually a neighborhood in Honolulu on the island of Oahu. Waikiki is home to many high-end stores such as Gucci and Tiffany and Co. You will also find the popular ABC stores and almost everything in between. 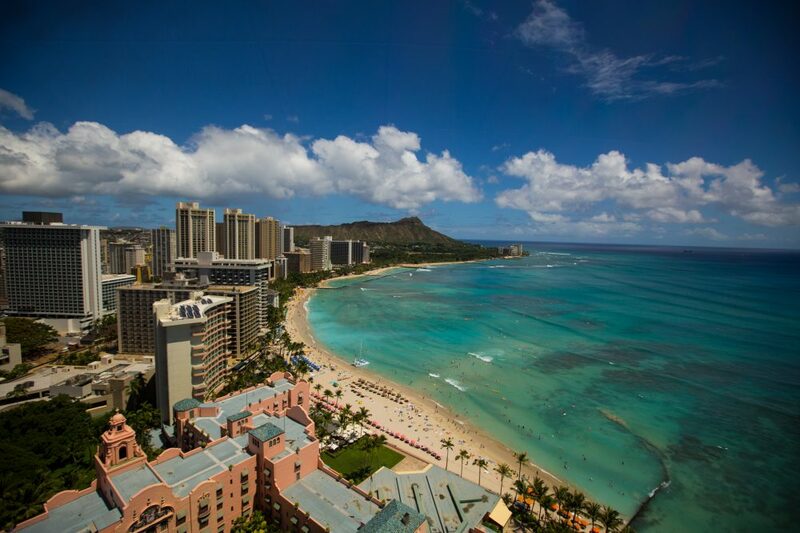 Even though it’s crowded, you’ll want to check out the world famous Waikiki Beach. 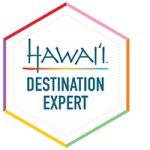 The Waikiki Aquarium and Honolulu Zoo are often overlooked but are well worth visiting, especially if you’re exploring the island with children. Away from the hustle and bustle of the big city, the North Shore is known as the Surfing Capital of the World. Surfer or not, it’s one of the most beautiful parts of the island and only an hour drive from Honolulu. Far too many visitors in Oahu don’t make it to the North Shore which I think is a big mistake. 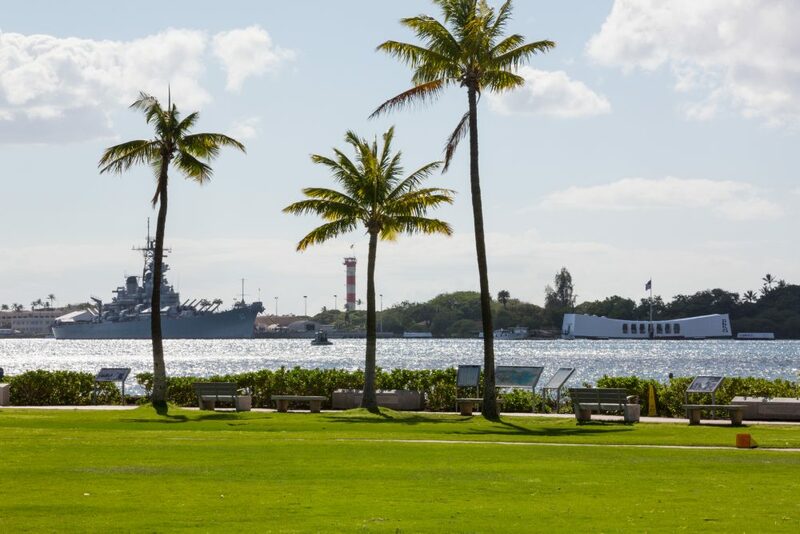 No trip to Oahu would be complete without a visit to Pearl Harbor. Pearl Harbor and the USS Arizona host over 1.5 million visitors annually. It is a moving experience to visit the USS Arizona memorial, a spot just above where 1,177 men lost their lives. You’ll also want to check out the USS Bowfin Submarine Museum and Park to tour the World War II submarine. Oahu is host to fantastic luaus. 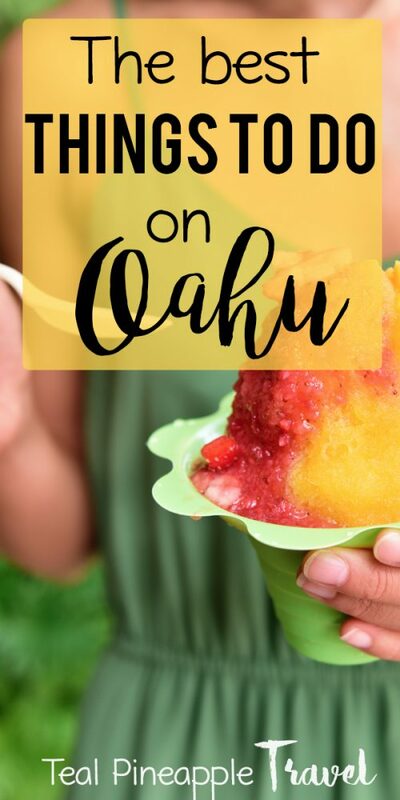 There are many popular luaus including the Paradise Cove Luau at Ko Olina Resort, The Polynesian Cultural Center Ali’i Luau, and Hilton Hawaiian Village Starlight Luau. If you love museums, you won’t want to miss the Bishop Museum. Bishop Museum is the largest museum in the state of Hawaii and houses a considerable amount of Polynesian cultural artifacts. 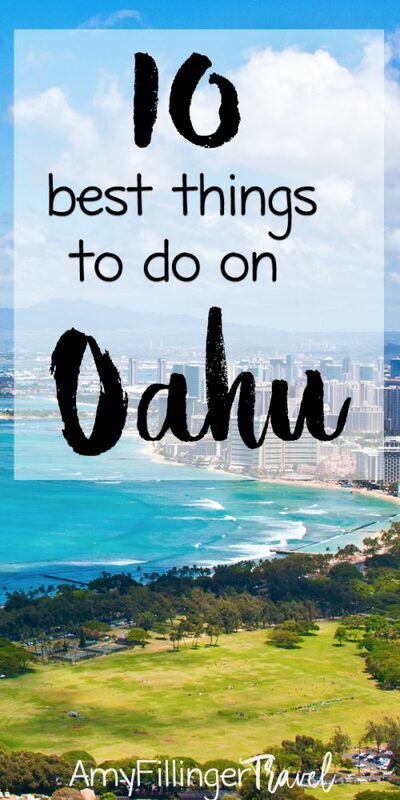 You might also enjoy The ultimate Hawaii packing list. 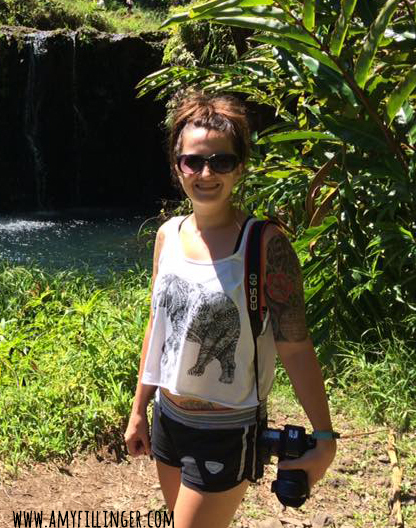 As someone who loves hiking, you know that I had to put a hike on the list of the best things to do in Oahu! It takes about an hour to hike to the top of Diamond Head and it is a mild to moderate hike. Once you reach the top, you’ll have a 365-degree view of Oahu, it’s definitely worth the climb! If you want to learn about the culture of Polynesia, the Polynesian Cultural Center is a must-see. It is home to the Ali’i Luau and Hawaii’s only IMAX theater. If you want to grab some fun souvenirs, check out the Aloha Stadium swap meet. Some of the vendors sell items are made in China, but you’ll also find some authentic island-made goods. Many of the most beautiful parts of Oahu can only be seen by air. 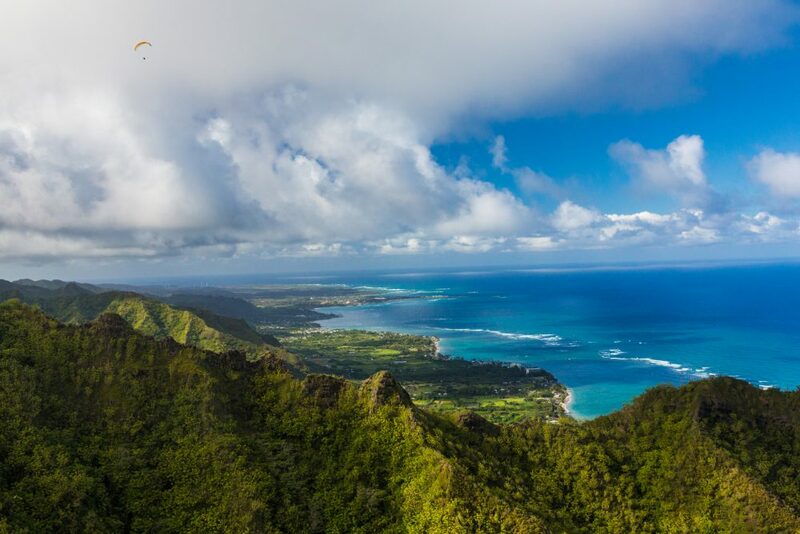 A helicopter tour will help you appreciate the beauty of Oahu even more. 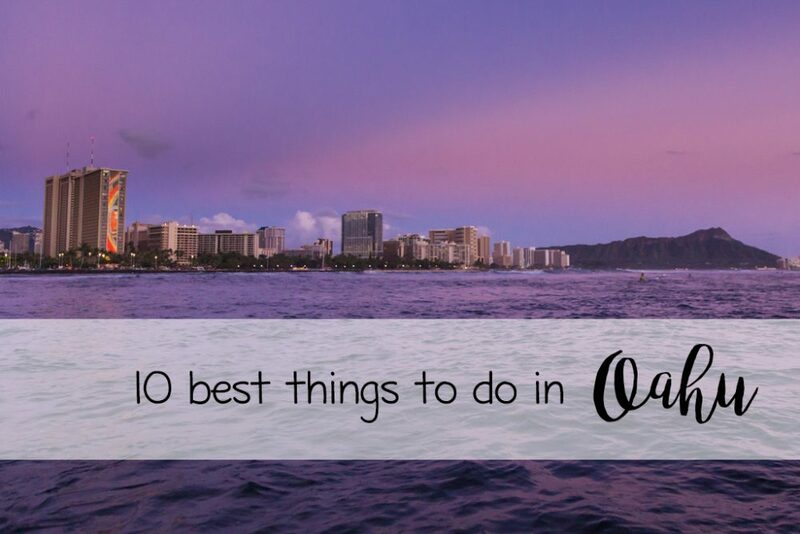 No “best things to do on Oahu” list is complete without a beach. You might be surprised that I am not suggesting Waikiki Beach, but there are many beautiful beaches beyond Waikiki! Lanikai Beach is located in Kailua town on Oahu’s windward side. There are two small islands that are home to bird sanctuaries less than a mile offshore. You can even kayak to get a closer look at the islands. An offshore reef keeps the waters calm all year, which makes this beach perfect for swimming and snorkeling. The half-mile of white sand is perfect for those who just want to spend some time relaxing on the beach. This beach is in a residential area, so arrive early as parking is limited. Don’t forget to pack your reef-safe sunscreen! 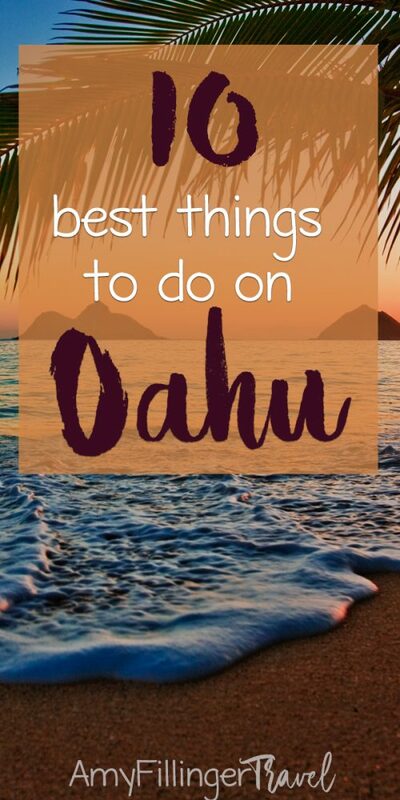 Want even more Hawaii travel tips? If you enjoyed this post, I would love it if you shared it on Pinterest.